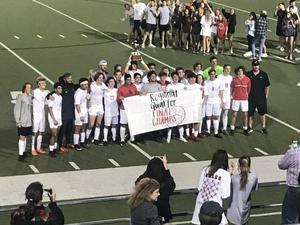 Congratulations to the Eagle Soccer team and coaches on their Regional Quarter-Final win over Kennedale 1-0. They now advance to the Regional Tournament this Friday at Justin Northwest High School. Time and opponent to be announced.